The Normalized Difference Vegetation Index (NDVI) is an index of plant photosynthetic activity, and is one of the most commonly used methods to assess the variety or type of plant being scanned by a NIR camera with a red filter. 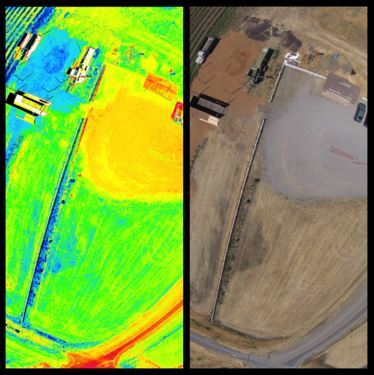 Used by agronomists, farmers and industry groups alike, an NDVI scan can identify such things as weed infestations in crops, or rogue banana trees in areas that were once banana farms. Having aerial results makes the identification process much quicker and reliable than visually observing each area from ground level. Without having to traverse terrain, open gates, look up in high terrain, or gain land owner permission to enter the property if a rogue plant is being sought, a UAV application is far quicker, quieter and effective. With GPS movements and coordination, it is very easy to geo-reference a problem area for concise attention after the flight has concluded.